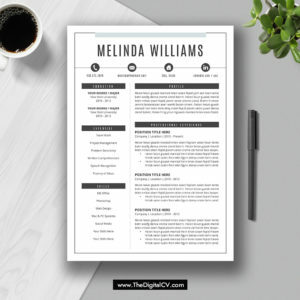 Having a strong resume / cv will allow you find a good job, this creative and professional resume template, cover letter template will help you stand out and get the job you want. – Designed and tested by senior designer and HRD consultant. 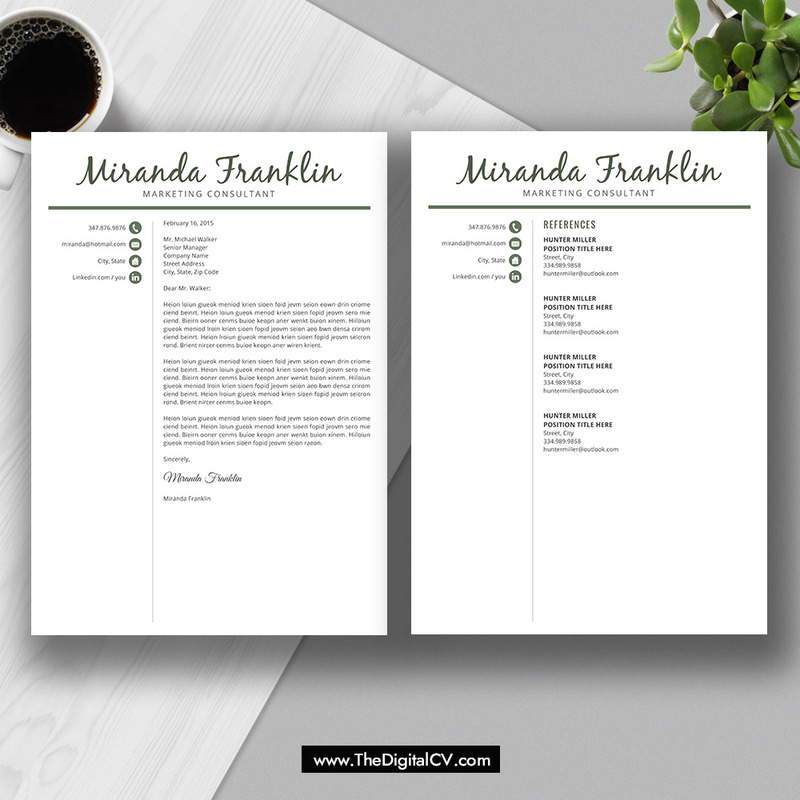 – US Letter and A4 Templates included. 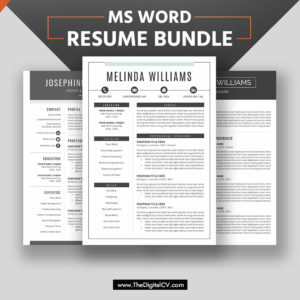 – Fully compatible with Microsoft Office Word (Mac or PC). – Fully editable text, colors, fonts, icons and sections. – No advanced technical skills required. – Fast and friendly customer support. 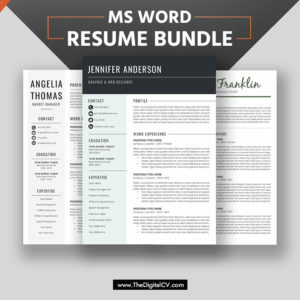 – Easy-to-use Fonts Guide included in .pdf format. 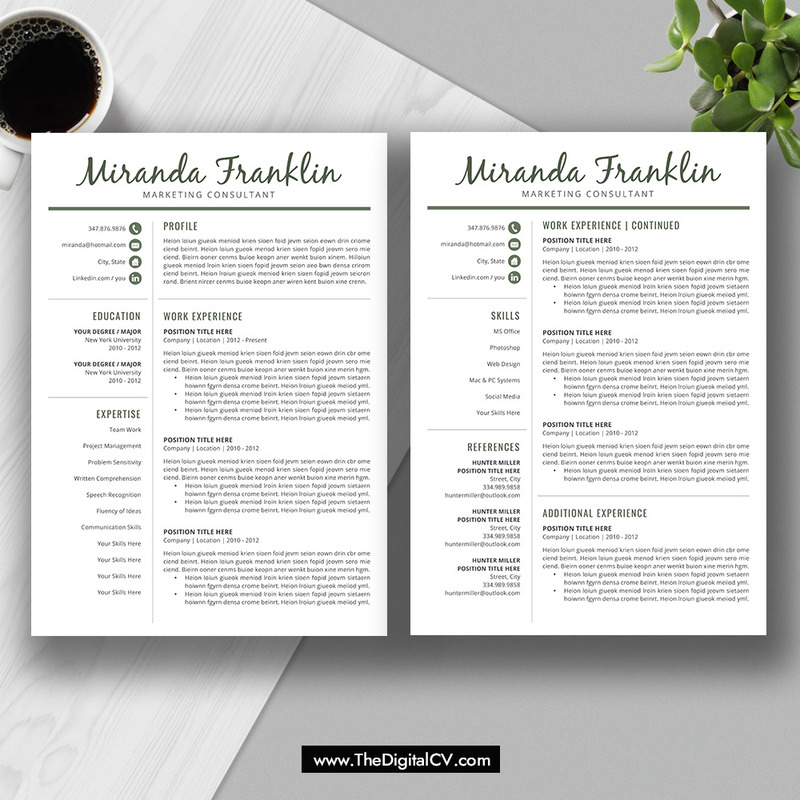 – Attractive Social Icons Guide included in .docx format. 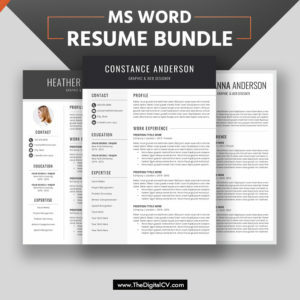 – Detailed User Documentation included in .pdf format. 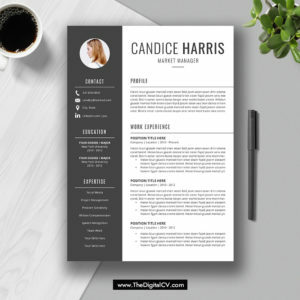 – All designs are copyright and original to DigitalCV. 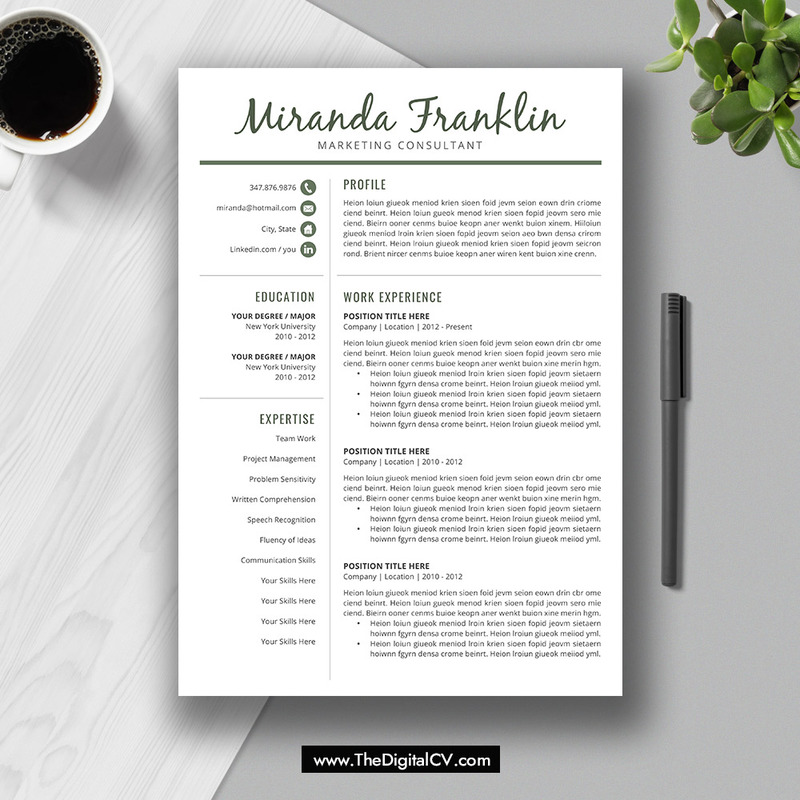 – All the templates are for personal use and can not be resold or redistributed under any circumstances. 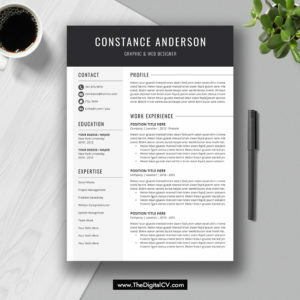 For years, TheDigitalCV.com has successfully helped thousands of students, interns, college graduates, MBA graduates, experienced professionals and career changers personalize and recreate job winning and visually appealing resumes by using our creative and professional resume / cv templates.